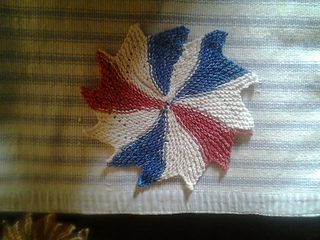 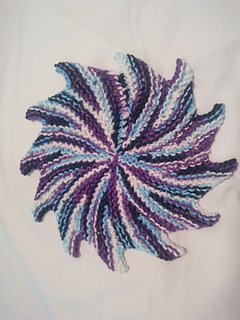 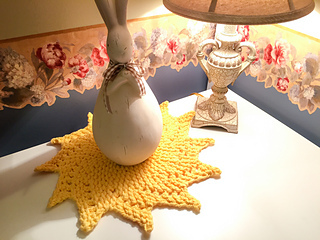 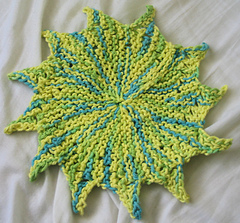 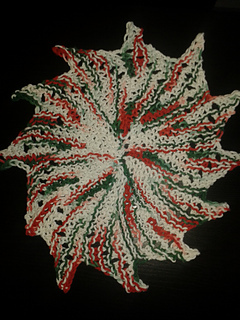 This classic star shaped washcloth is fast and fun to make. 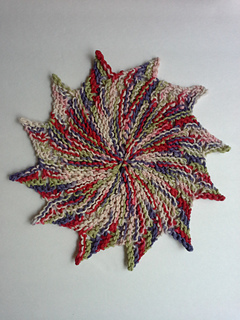 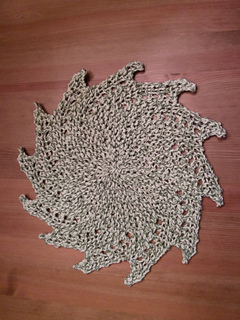 Eyelets accent the star shape, while short rows create the pretty round cloth. 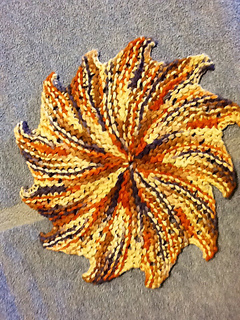 The 1/2 inch gauge loom makes about a 12 inch cloth. 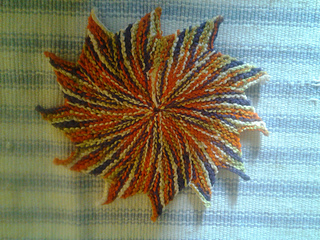 The 3/8 inch gauge loom makes about a 10 inch cloth. 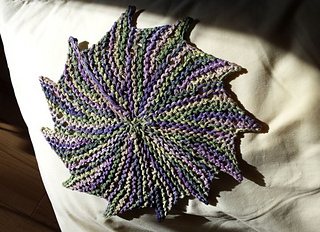 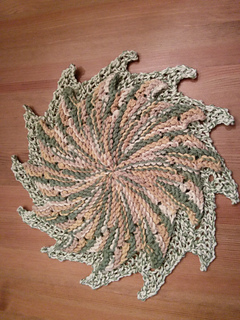 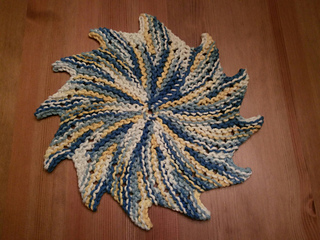 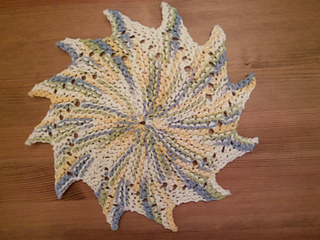 While any worsted weight cotton works well for this pattern, Plymouth Yarn Fantasy Naturale was best at holding the star “points”.